Interested candidates seeking Admission in B. 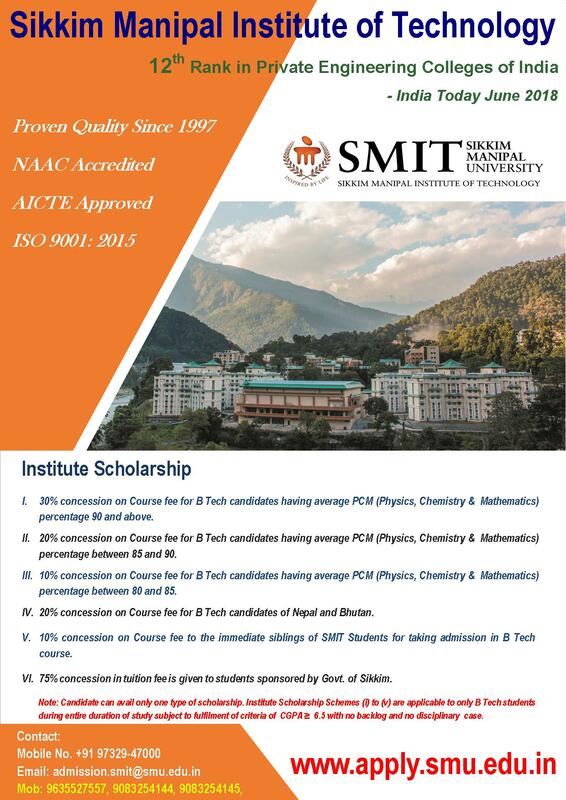 Tech under NRI/PIO Category can contact Chairman, Admission, Sikkim Manipal Institute of Technology (SMIT); Email: chairman.admission@smit.smu.edu.in, Mobile:+91-9732947000, 9733026159. Candidates from Bhutan and Nepal need not apply under NRI/PIO category. They can appear in SMIT Offline Test. If selected, the admission will be given under General Category with Institute Scholarship.